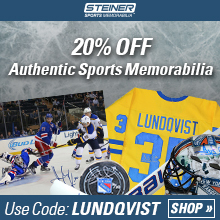 During all Henrik Lundqvist's years in New York Rangers, the club has been aiming for the Stanley Cup. But after last year's heavy season, the club leadership chose to change course and bet young. In an interview with hockeysverige.se, he tells about the difficult conversion after the message about the generation change. "We all knew that the season ran out of our hands when we sent our top players," says the 36-year-old. 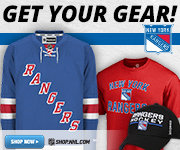 New York Rangers had gone to the finish line seven consecutive seasons, but last season the suite ended. Of course, this was a big miscarriage for one of Sweden's biggest goalkeepers throughout all ages, Henrik Lundqvist. Although he has won Olympic, World Cup and SM gold, Stanley Cup is left to bend off. - Then it continued. We had a very heavy break on the injury side. We did not have a sufficiently wide squad to handle it and we started losing a lot. The damage caused us not to keep the level required. After seven straight playoffs, you missed going there, how were the crowds then among the fans? "We were in the final playground during the half season. When it started to go a little slow, it started to hurt and the club decided to bet younger players, it was mixed reactions. Once you made the decision, nobody expected us to go to the playoffs. It was not realistic either when we sent four top players (Ryan McDonagh, Michael Grabner, Rick Nash and J.T. Miller) although we did get some good players back. "The tongues this season, I still do not know how they go because we did not talk about what the realistic goal is. There is something that can grow up here under the camp. Henrik Lundqvist is the one who has been with all of the players in today's Rangers - since 2005 - but any extra pressure that's why he is the one who is going to wear the team is nothing he knows. "No, I feel no more pressure now than I have done in previous seasons. It always applies to playing at my highest level regardless of the situation of the team. In addition, there are always boys from below who challenge themselves to take care of their own efforts and to prepare themselves well. - We will see what happens. There will be some changes with new coaches (David Quinn), a new system and many young guys. It will be exciting to see how we handle it, what kind of team we will be at the same time as every new coach wants to put his mark on the team. 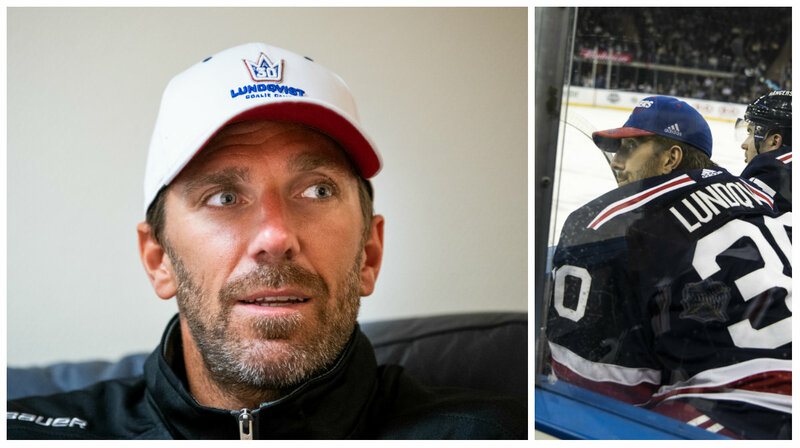 Henrik Lundqvist injured himself in the World Cup in 2017 after Williams Nylanders' "jump" when it became apparent that the World Cup gold was secure. Despite the injury, now the 36-year-old goalkeeper made a clearly approved season in the Rangers shirt and made 63 of the team's matches. - The first half felt better than in several years. It was really good. In conjunction with the All-Star match, after that we had four to five players away and we lost a lot. Once the club took this decision (to bet younger) it was quite tough mentally. "I was able to process it for a couple of weeks and feel that we would not bet this season without it being for the future. It was unusual and something I had never experienced before in my 18 seasons, either in Sweden or elsewhere. "I think it was tough first three, four weeks. Then it just went out, war and make the best of it. "I always want to go out and try to win. That's why I'm playing. We all knew that the season ran out of our hands when we sent our top players. We saw it from another point of view that instead we would build for the future and prepare ourselves for this season. "Now some of our young guys got the chance, which made me look the most important in the games in a different way. Build experience for them. Hopefully, it will pay off this season. You are 36 years old, what do you feel that you have to develop in the goalkeeper game to keep up with the rapid development? - The speed, how I move ... I think the goalkeeper's movement patterns have changed quite a bit. At the same time, I do not want to change too much and I have some basic reasons that I want to stick to. - Then I have to try to adapt myself, because it's faster now. I have to keep that in. For my part, I have to work with the footwork because I build a lot of my game on it. Do you have the same mental drive to the preschool training you had 15 years ago? - Yes, and this year I've been doing well. The body physically looks very good. Much better than last year when I was injured with knee injury from the World Cup. I have been able to drive as I want and more on ice than I have done in previous years. The drive is there and I still think it's fun and everything feels good. Has recovery mentally become more important over the years? "I think it has always felt important. There will be a discharge both physically and mentally every year after the end of the season. This year it became a rather long break. It is important to put it in the right way. Firstly, you need to reload you mentally, and you must build yourself for the next season. "It feels a bit like before, but a bit more motivating because I did not get that season I wanted last season. However, as I said, it is quite similar. I go to myself and look forward to what I need to improve and then work on it. A part that has changed Henrik Lundqvist's life beside hockey when compared to when he was younger is that he is now a parent. Daughters Charlise fills for almost five years while Juli is two years old. - In some situations, I think this is a parent's distance to hockey eyes. At the same time, there are many aspects of me that are the same even though I have family and children. It's more that the time I put down on other stuff earlier, when I did not have hockey eyes, I instead put on the family. "It's about being able to break this intense with hockey so I do not think about it 24 hours a day. There it helps to have children who direct their thoughts to something else. When it comes to preparation and how I feel about hockey it's about the same. Now, a season of relatively new conditions for Henrik Lundqvist and New York Rangers is waiting. For the first time, the team has for many years no demands or expectations for the generation shift initiated last year. "It will be exciting and there are some question marks in the air. We do not really know how the team will look when we begin. There are many young guys fighting at the camp about a place. Just the goal is something we can work out, sit down under the camp and talk about what's realistic. "It feels like we have to have a really good year and that many of the guys are playing the top. Then we can win a final playground, which I think will be our goal. Then we have to put the ribbon from there. It will be a war and it does not feel like we have as deep a team as previous seasons. Young and hungry hopefully and there are also many guys who will be given greater responsibility than they had before. Is not it exciting to see if these young guys manage to take the next step in their development next season? - Yes, it is. It depends a lot on how it will be for us how they take this climb. Hopefully these young boys will continue to develop and surprise us positively for what we will need. - We have a coach who is used to working with young guys and can help them to take these clicks. There have been two new Swedish guys in the New York Rangers for the coming season. It's about Fredrik Claesson from Ottawa and Michael Lindqvist from Färjestad. - I hope they will enjoy and have a great camp here. There are many young guys who will fight about the places here so it's about getting well prepared, having a good camp and sending good signals to the management about what role to get. There is nothing to be given without going out to take care of the front legs. "Then it's nice to have Swedes in the team and I hope, of course, that they will have a really good season here. Another Swedish Rangers leadership is making great hopes for Lias Andersson. "He was on the NHL at the end of last season. It has given him a lot of insight into what is required. He is one of several young guys you hope to establish seriously this season. Then Lias is very young so it is important not to put too much pressure on him. It's more about establishing and taking this regular place and then building from there, Henrik Lundqvist concludes before continuing his journey through Manhattan's rush traffic on the way to the morning's training.